We released a major update for VRMark today that adds Cyan Room, a new DirectX 12 benchmark test for VR. What's more, from now until November 28, you can get VRMark for only $4.99 (-75%) in the Steam Sale. VRMark is a benchmarking application for measuring VR performance. The Cyan Room shows how using an API with less overhead can help developers create impressive VR experiences on modest PC systems. You can run Cyan Room on a monitor or on a VR headset. Use Benchmark mode to measure performance or try Experience mode with a VR headset to judge a system's rendering quality with your own eyes. 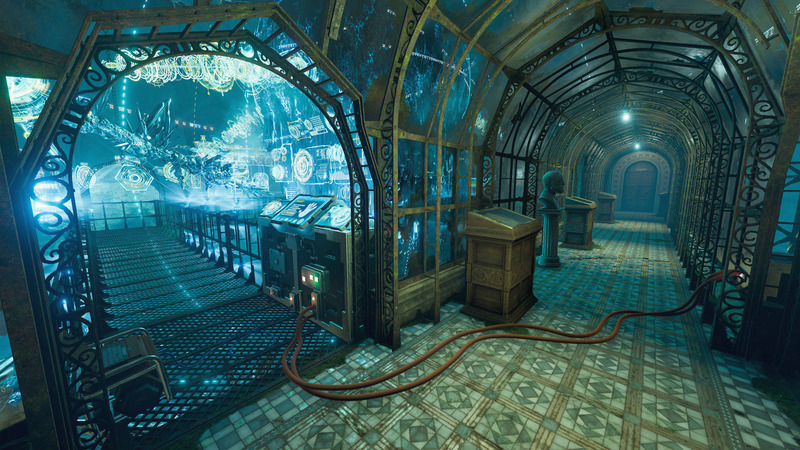 VRMark Cyan Room is a VR benchmark that uses a pure DirectX 12 engine built in-house and optimized for VR. It features a large, complex environment and many eye-catching effects. You can run the test on your monitor—no headset required—or on a connected HMD. The benchmark runs on a fixed path, which makes it easy to repeat the test on other systems to compare performance. At the end of the test, you'll see if your PC was able to meet the target frame rate, a comparison with other systems, and detailed hardware monitoring charts. VR headsets use clever techniques to compensate for missed frames. Even when the frame rate is below the target, you may be surprised by the quality of the VR experience. You can use Experience mode with a VR headset to judge the performance of a system with your own eyes. It lets you freely explore the Cyan Room in your own time. You can change the rendering resolution and other settings to make the scene more or less demanding. Experience mode is a great way to see how your PC's performance affects your VR experience. First released in November 2016, VRMark has helped thousands of people test their PC's VR performance. In addition to the Cyan Room, VRMark offers two more VR benchmarks. The Orange Room tests your system against the recommended hardware requirements for the HTC Vive and Oculus Rift. The Blue Room is a much more demanding test. With its massive 5K rendering resolution and spectacular volumetric lighting effects, it sets a high bar for future hardware generations. 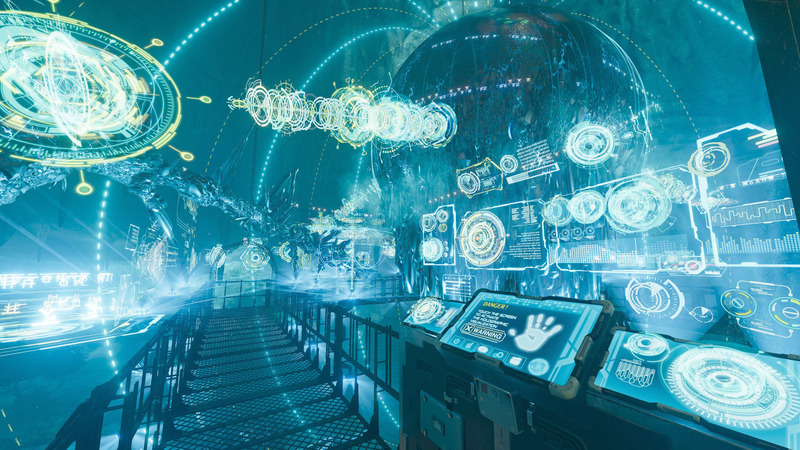 Cyan Room is available now as a free update for VRMark Advanced Edition and VRMark Professional Edition. Cyan Room is not available in VRMark Basic Edition or the VRMark demo on Steam. Standalone versions of VRMark will prompt you to download and install the update. On Steam, VRMark is updated automatically. VRMark Advanced Edition includes all three benchmarks and additional features such as custom run settings. VRMark is available to download and buy from our online store and from Steam. Orange Room - VR ready for HTC Vive and Oculus Rift. Cyan Room - DirectX 12 benchmark for VR performance. Blue Room - The high bar for future hardware. Headset not required - run on your monitor or an HMD. Evaluate rendering quality with Experience mode. VRMark Professional Edition is licensed for business and commercial use. It offers additional features designed for business users such as command line automation and scripting and private offline results by default.